The nocturnal cityscape used to be dominated by glowing tubes of every shape and color. Neon lighting, exposed glass turned vibrant when the gas inside is bombarded with electrodes, was the main form of outdoor lighting in the country from the 1930s to the 70s. It has declined since then, replaced by cheaper and cleaner alternatives. Though, while neon may be a dying industry, it still has a passionate following. Neon Speaks, a three-day-long festival and symposium held toward the end of April in San Francisco, was a gathering of neon aficionados from across the country. 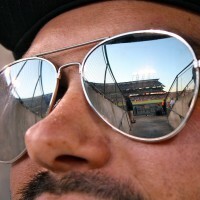 They discussed sign typography, held a forum of local sign experts, and went on walking tours of neon around the city. On the second day, eighty-five people packed into the Tenderloin Museum to eat pie and discuss the allure of old signs and their colorful glow. Law, 59, has been a sign guy for thirty-five years. 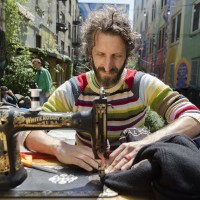 In addition to the maintenance work that pays the bills, he has lent his skills to a number of counterculture side projects. He added the first neon lighting to the Burning Man main sculpture. For a show put on by the heavy-machinery-as-performance-art group Survival Research Labs, Law built a sixteen-foot-wide spinning cone of steel and blinking neon that got ripped apart by fire-spewing backhoes. 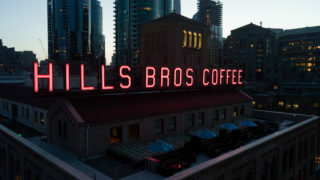 Nowadays, Law maintains some of the most iconic neon in the Bay Area skyline, including the signs on the San Francisco Ferry Building, Hills Brothers Coffee, and the Tribune Tower in Oakland. Signing practitioners like Law used to be able to apprentice, gain certification, and build a career out of neon building and maintenance. Now, that mantle is held up primarily by hobbyists and preservationists. Neon signing has had a bit of a surge in popularity recently, but it falls far short of an actual comeback. 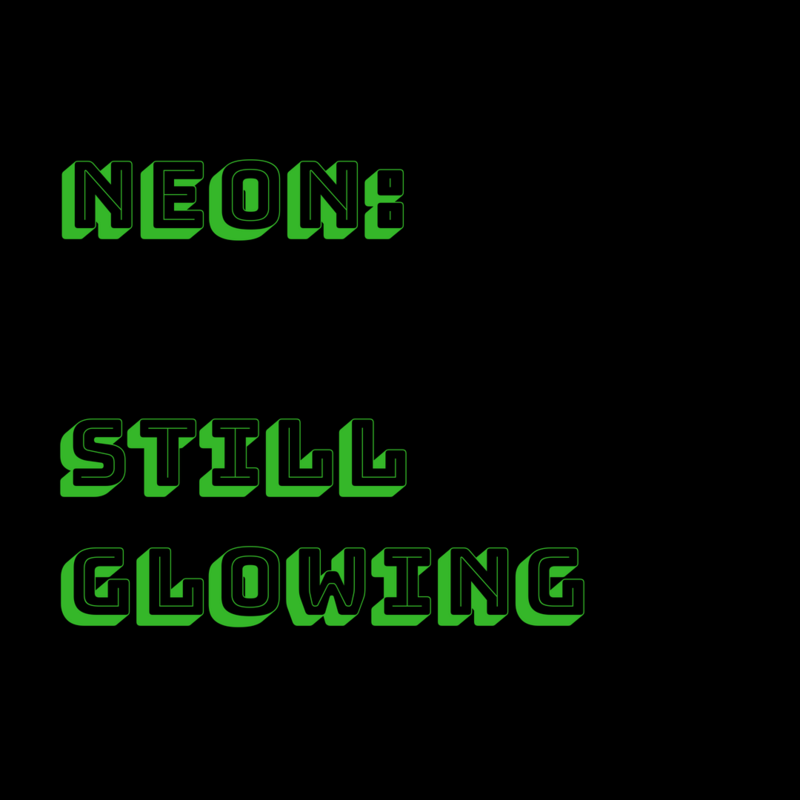 Neon is much more expensive and time-consuming than its more prevalent luminary counterparts. Also, many so-called neon signs are actually filled with argon, a different noble gas, to produce light. According to Law, the argon is blended with a dash of mercury to give it more vibrant hues. In the heyday of neon signage, tube-benders who regularly worked with argon (and by extension, mercury) had a tendency to suffer detrimental physical and mental effects. Modern tube-benders, conscious of their health and sanity, tend to charge far more for working with argon. Impracticality of the medium aside, the visual qualities of neon signs still inspire a sort of awe. Law and others at the Neon Symposium spoke about the importance of neon signs as cultural signifiers. They celebrate them as representative of the eras from which they come. The people who love neon signs also love them for the nuances of their craftsmanship. The complex layering of the tubes. The extra effort put into the animated light patterns. The vibrant paint on the signs themselves.